Do you or does someone you know have severe symptoms of itching, rashes, flushing, stomach or other body pain, frequent diarrhea, nausea, fatigue, brain fog, headache and severe allergies to certain foods, medications or insect stings that may include fainting episodes or anaphylaxis? Although it has been classified as a rare immune system disorder, there are indications that Mast Cell Activation Syndrome (MCAS) may be more prevalent than previously thought and people can suffer for years without being correctly diagnosed. With severe allergies and chronic inflammatory diseases increasing in populations around the world, scientists are investigating the association between mast cell dysregulation and various brain and immune system disorders ranging from asthma, inflammatory bowel disease and chronic fatigue syndrome to ADHD, depression, autism and cancer. 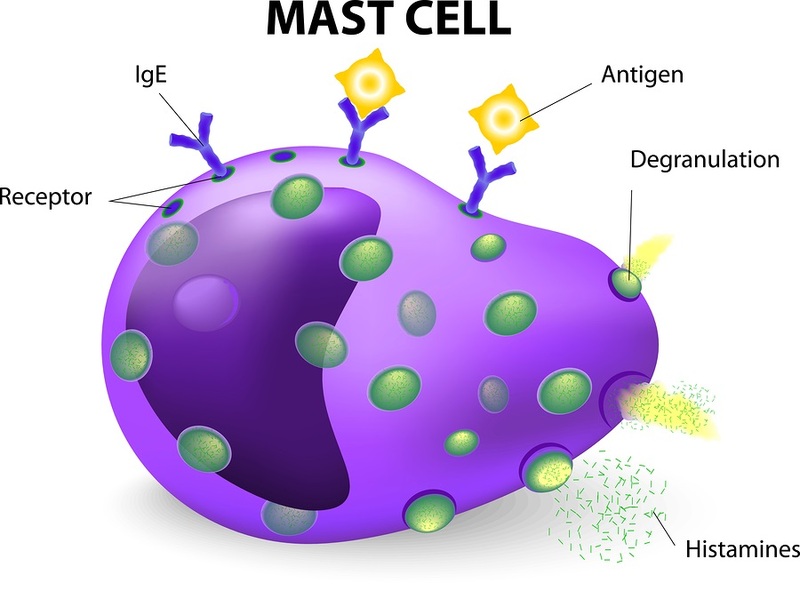 Mast cells play an important part in keeping the body healthy, but when they malfunction, can cause system wide chronic inflammation in the body that interferes with quality of life or can even cause death. Although for the past several decades, most pediatricians and public health officials have rejected the possibility of a relationship between vaccination and the development of allergic and autoimmune disorders, the apparent increase in mast cell dysregulation in highly vaccinated populations deserves more in-depth investigation.